The rather short wait for the new season to begin is just a matter of days if not hours away and with the transfer window slamming shut on Thursday 10th August, never has the start of a season sent teams into such overdrive. Except for Tottenham for that is, who appears to be leisurely content with the same squad from last season to propel them to future glories (hopefully). This has done little to affect the betting markets with Spurs still deemed well in the hunt for a top four spot making it a prime time to learn how to bet on sporting events using bitcoin or other crypto currencies for what could prove to be some handsome rewards. Due to Tottenham’s new stadium still unready for use, the Premier League kindly allowed Spurs to play a number of away games prior to hosting Liverpool at the new Stadium on the 15th September (although Spurs do play Fulham ‘at home’ on Aug 18thbut it will be at Wembley). A trip up North to face the Magpies is Mauricio Pochettino’s first test and on paper, it looks like a generous fixture. Newcastle United continue to be a club in turmoil with fans and now players against club owner Mike Ashley. A dispute over player bonuses has led to Newcastle players refusing to take part in media duties and the gulf between fan, player, and owner relationship has never been more distant. According to the history books, the match is balanced on something of a knife edge which is starting to tilt in Tottenham’s favour. The last 12 meetings between the two in all competitions have seen the Magpies win 5 and Tottenham 7. However, one thing to avoid is the draw. You have to go back all the way to the 16th October 2011 for the last time the pair shared the spoils (that was 13 games ago). For the goal scorer bet fans, since that 2011 draw, the pair have shared 39 goals in the preceding 12 games at an average of 3.25 goals per game. To delve a little deeper, of the 39 goals, remarkably Tottenham have scored 25 of them, perhaps showing where the difference in quality lies between the pair. Of Newcastle’s 14 goals in the same period, 5 of them came at the end of the 2015/16 season when Newcastle hammered Spurs 5-1. What is telling, is that Tottenham did the double over Newcastle last season and did not concede a goal in their two encounters in the league. You do not need to be a rocket scientist to predict Tottenham should get the job done and a bet on the Lilywhites using bitcoin could be an astute decision – https://www.bettinginstitute.co.uk/how-to-bet/bitcoin-sports-betting/. The Magpies have been poor in the transfer window with forward Salomon Rondon the only acquisition of note (and barely just) and internal unrest is ripping the club apart. 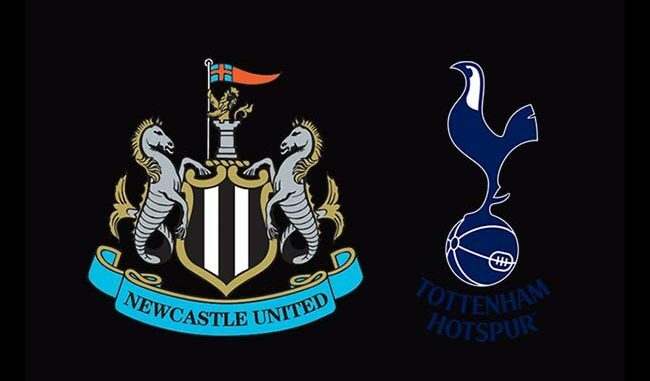 Expect a demotivated Magpie dressing room on Saturday and a real chance for Harry Kane to once and for all break his August hoodoo and get the club’s new era off to the best possible start.